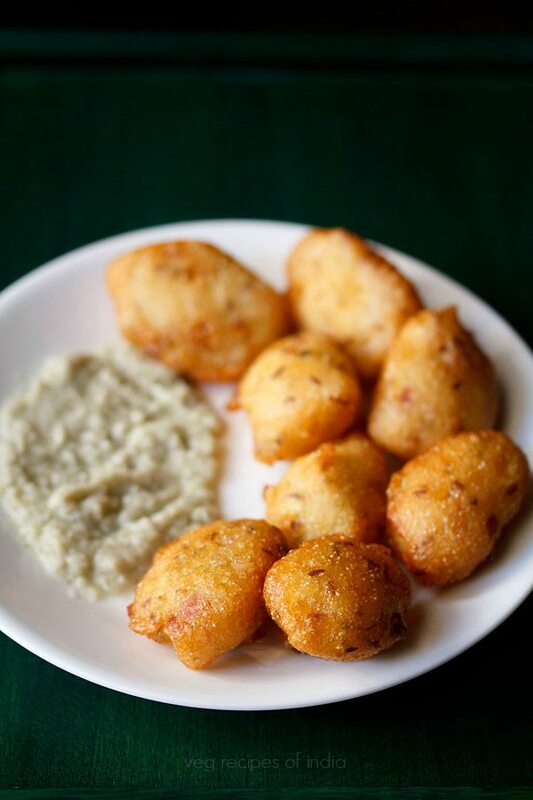 punugulu recipe from idli batter - spiced and crisp fritters made from idli dosa batter. quick snack from the andhra cuisine. 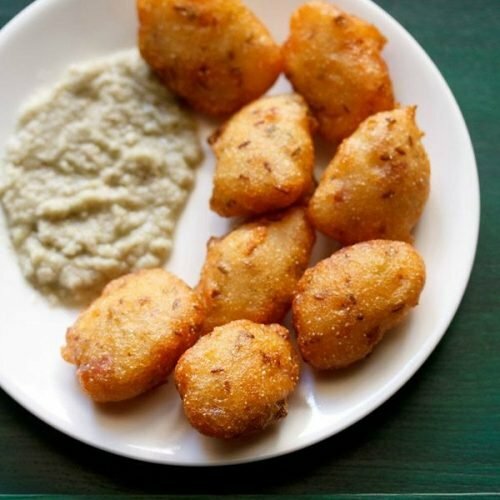 punugulu recipe with step by step pics – punugulu are crisp fried snack from the andhra cuisine. 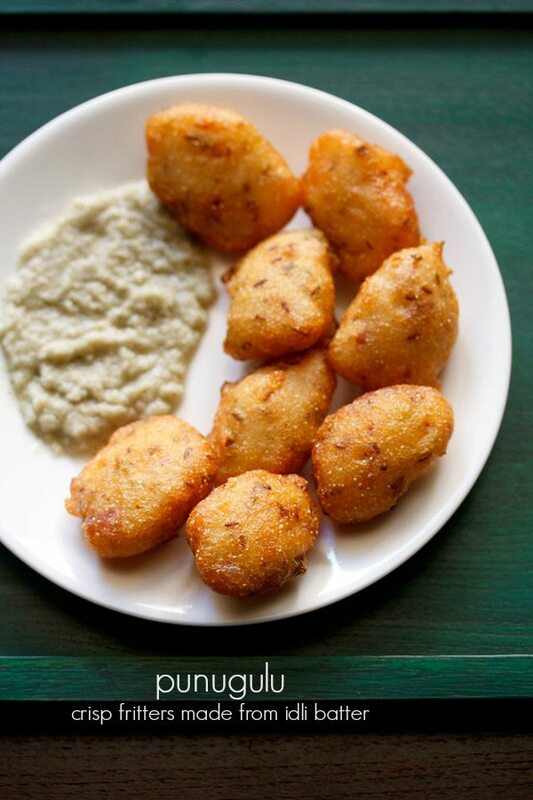 these tasty fritters are made with idli batter or dosa batter. punugulu can be made with freshly ground idli batter or fermented idli dosa batter. if you like sour tasting fritters, then you can use idli batter which has become slightly sour or a 2 to 3 days old batter. usually i make these fritters on the second day. 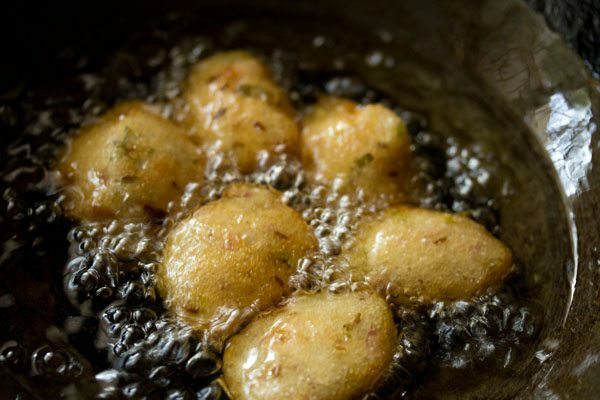 punugulu or punukulu are a variation of the paniyaram, but just that they are fried instead of cooking them in the appe pan. 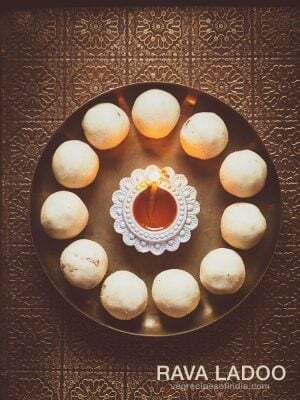 of course you can make punugulu in the appe pan too, but the taste will be like paniyarams. there are many variations you can make in the punugulu recipe – like adding greens to the batter or changing the spices & herbs as per your taste. you can even skip onions in the recipe. 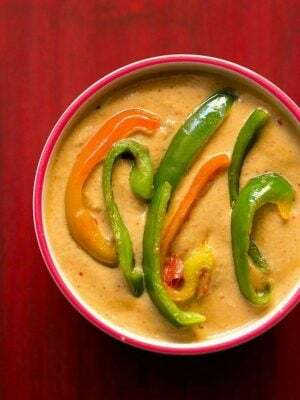 it can also be a simple version with only cumin and green chilies. for more crispness, i add fine rava (sooji) to the batter, but you can even add rice flour. punugulu makes for a quick and easy snack, if you have the idli dosa batter ready. you can serve it with any chutney. usually we prefer with coconut chutney or peanut chutney. take 1 cup idli batter or dosa batter in a bowl. let the batter come to room temperature, if you have refrigerated it. 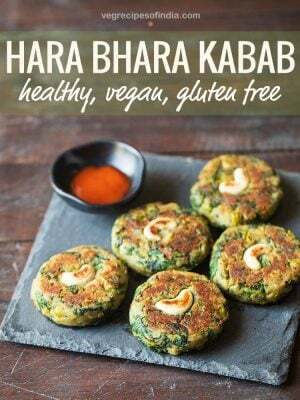 add 1 tbsp rava (optional), 1 small onion, chopped or 1/4 cup chopped onion, 5 to 6 curry leaves, chopped or 1 tsp chopped curry leaves, 1/2 inch ginger, finely chopped , 1 or 2 green chilies, chopped, 2 to 3 tsp chopped coriander leaves and 1 tsp cumin seeds. add salt if required. mix very well. 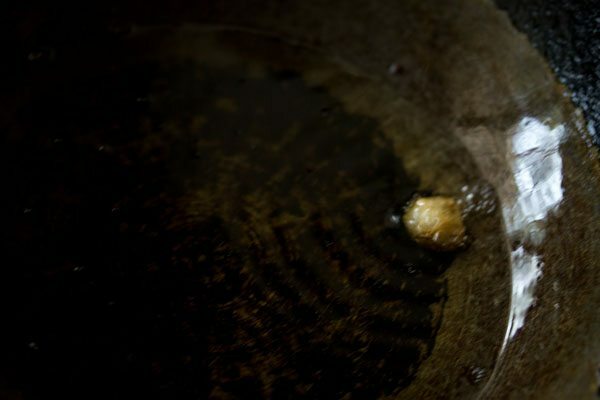 heat oil for deep frying in a kadai or pan. test a small portion of batter in medium hot oil. the outside should be crisp and the inside should be soft and fluffy. 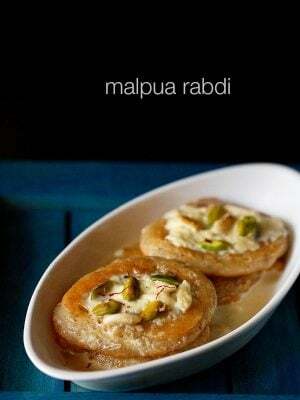 if the outside is too crisp and absorbing a lot of oil, then add some more rava or rice flour. if the texture is dense, then some more water needs to be added to the batter. 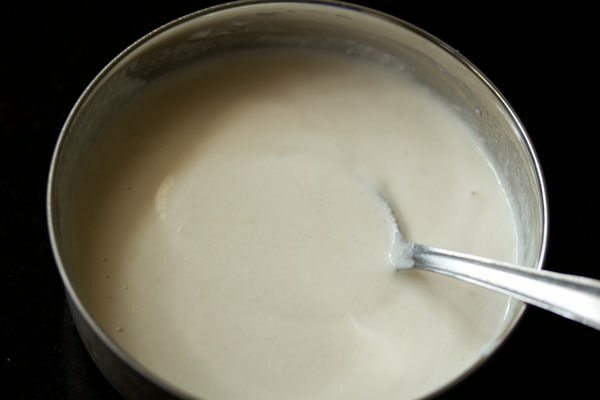 the punugulu batter should not be thick or thin, but have a slightly thick consistency. if the batter is of the right consistency, then you don't need to add either water or rava/rice flour. if the batter is very thick, you can add a few tablespoons of water. 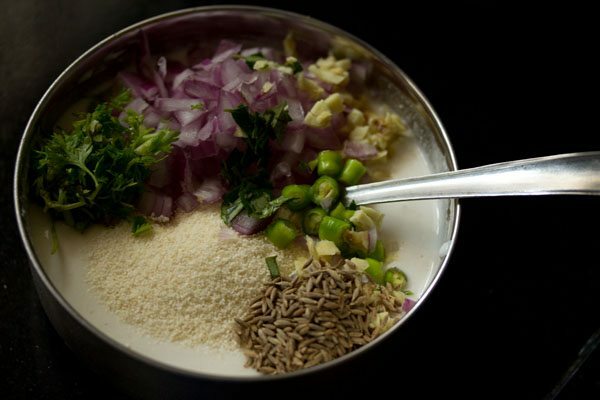 if its thin, then add a few tablespoons of rice flour or rava. once you get the right texture after frying, then add spoonfuls of the batter in medium hot oil. when the sides becomes pale golden and crisp, turn over. continue to fry the punugulu in medium hot oil turning them a few times for even browning. fry them till they become crisp and golden. 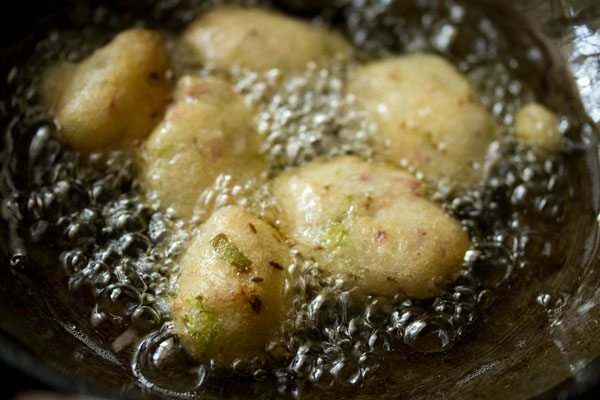 remove fried punugulu with a slotted spoon and drain excess oil. keep on kitchen towels to soak excess oil. 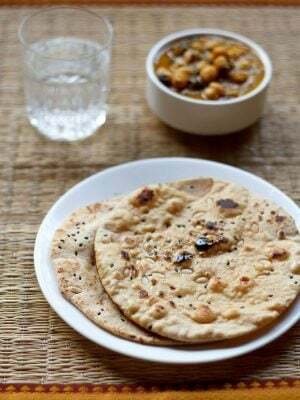 serve punugulu hot or warm with coconut chutney or peanut chutney. you can change spices & herbs as per your taste. 1. take 1 cup idli batter or dosa batter in a bowl. let the batter come to room temperature, if you have refrigerated it. here i have used idli batter. 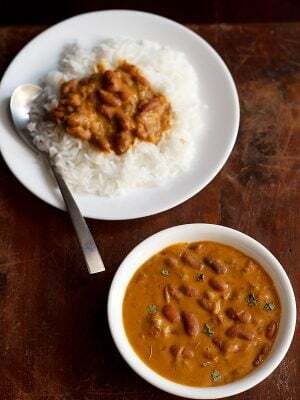 2. add 1 tbsp rava (optional), ¼ cup chopped onion, 1 tsp chopped curry leaves, ½ inch ginger (finely chopped), 1 or 2 green chilies (chopped), 2 to 3 tsp chopped coriander leaves and 1 tsp cumin seeds. mix very well. 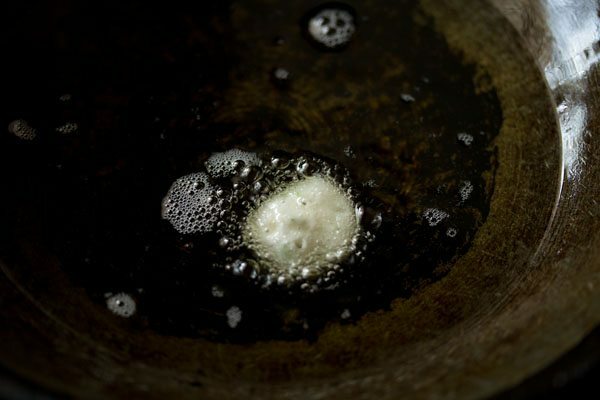 3. heat oil for deep frying in a kadai or pan. test a small portion of batter in medium hot oil. 4. the outside should be crisp and the inside should be soft and fluffy. 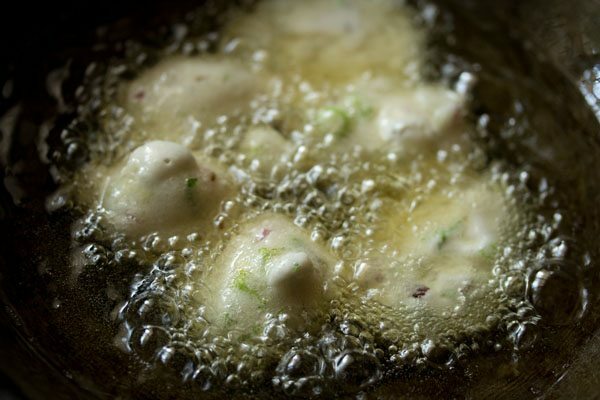 if the outside is too crisp and absorbing a lot of oil and becomes flat, then add some more rava or rice flour. if the texture is dense, then some more water needs to be added to the batter. the punugulu batter should not be thick or thin, but have a slightly thick consistency. if the batter is of the right consistency, then you don’t need to add either water or rava/rice flour. 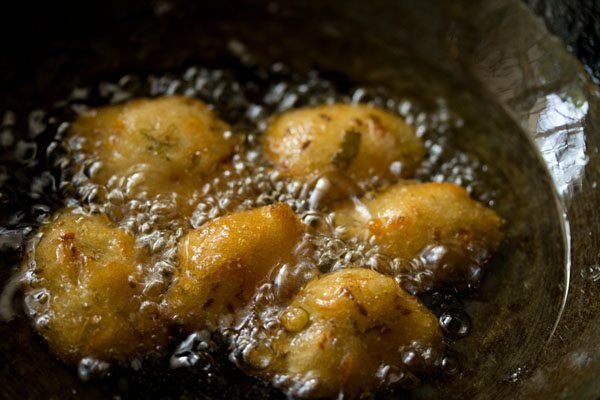 5. once you get the right texture after frying, then add spoonfuls of the batter in medium hot oil. 6. when the sides becomes pale golden and crisp, turn over with a slotted spoon. 7. continue to fry the punugulu in medium hot oil turning them a few times for even browning. 8. fry them till they become crisp and golden. 9. once done, then remove punugulu with a slotted spoon and drain excess oil. 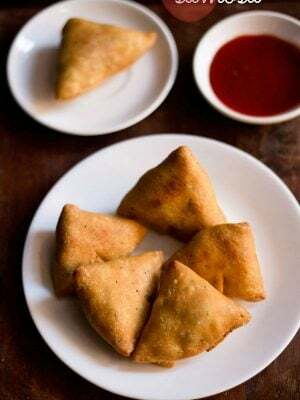 10. keep fried punugulu on kitchen towels to soak excess oil. 11. serve punugulu hot or warm as a tea time snack or an after school snack for kids. 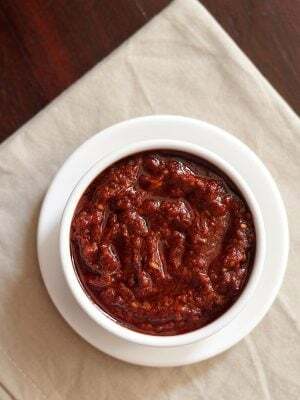 you can pair them with coconut chutney or peanut chutney. How to keep them crispy for a longer time in case i want to make it and serve later. Should i double fry? Meena, double fry won’t work. you have to fry them fresh and serve hot. punugulu doesn’t stay crisp when served cold. it’s easy and very good..
Great recipe..came out very well..but i also added one tablespoon rice flour..thanks for the recipe? welcome pavithra and thankyou for trying punugulu recipe. Yum!! 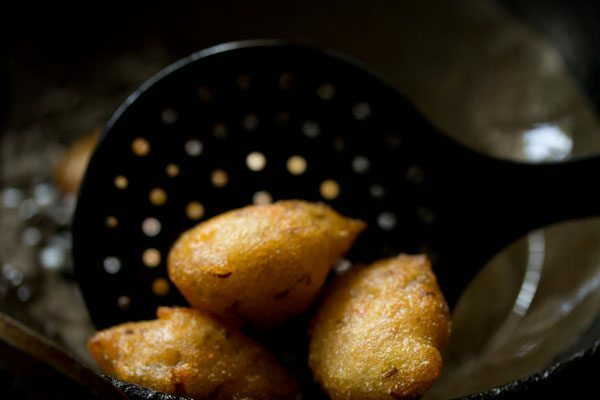 Add a spoon full of grated coconut to the same batter -spice/ herb and we call thr fritters ‘Otta ‘ in our region of malabar , Kerala. Interesting twist to the regular dosa batter..Will love to try it..
do try rithika. these taste good. Thank you so much for this recipe. I always endup in wasting a cup of batter after 2days..
Isn’t the preparation similar to Vada? 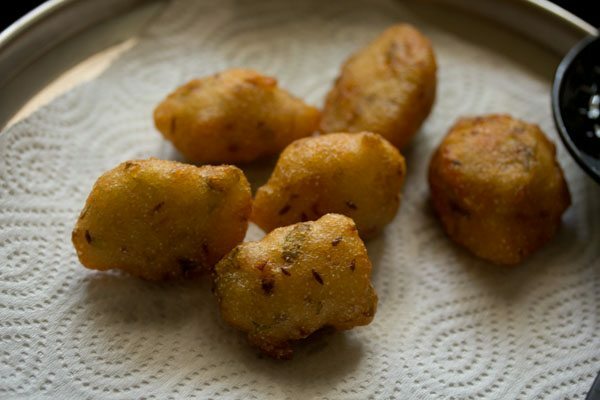 in vada, the batter is made from only urad dal, so the final taste and texture is different. in punugulu, rice is also added to make the batter. in fact its more rice and less urad dal, so the taste of punugulu is very different from the taste of medu vada. though the spices added are more or less the same.